Getting around Basecamp 3 is easy! Here are a few tips to make you a pro. There are 5 tabbed sections: Home – all of your projects and teams, Hey! – what’s new for you, Activity – everything that’s happened, Find – search for something, and Me – all your stuff and settings. If you’re reading a message or chatting in a Campfire, for example, you’ll always see the name of the project at the top of the screen. Tap that to quickly jump somewhere else in the project. The options menu (•••) at the top right gives you quick access to all the actions you can perform on the current screen like Edit, Bookmark, or Add something new. Basecamp 3 notifies you when someone comments on a thread you’re part of, "@mentions" you, or Pings you. Visit the Hey! tab anytime to see what's new. If you have Basecamp 3 installed you can get push notifications on your iOS device instead of emails. You’ll be prompted to allow notifications when you first open Basecamp 3. You can enable or disable push notifications within the iOS app anytime by going to Me > Settings and toggling "Receive notifications on this iPhone". 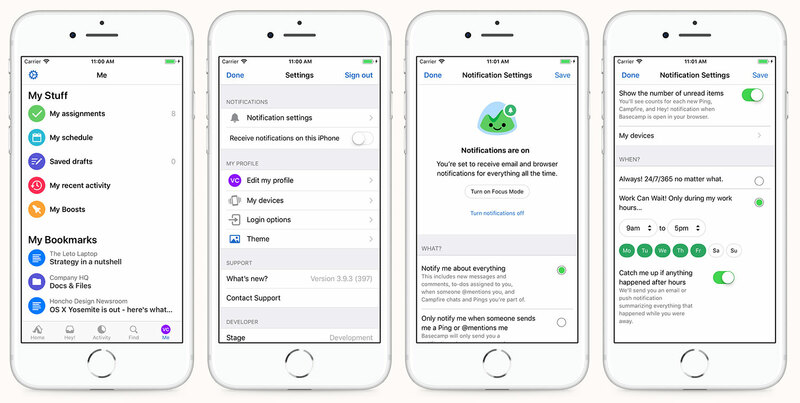 You can control how notifications are displayed by opening the iOS Settings app, going to Basecamp > Notifications and adjusting the settings. From there, you can tweak things like whether to play a sound when receiving a push, badging the app icon, and more. Basecamp 3 offers a number of ways to manage your notifications. Focus Mode turns off notifications for a few hours so you can focus. With Work Can Wait you can set up a schedule to only be notified during working hours. 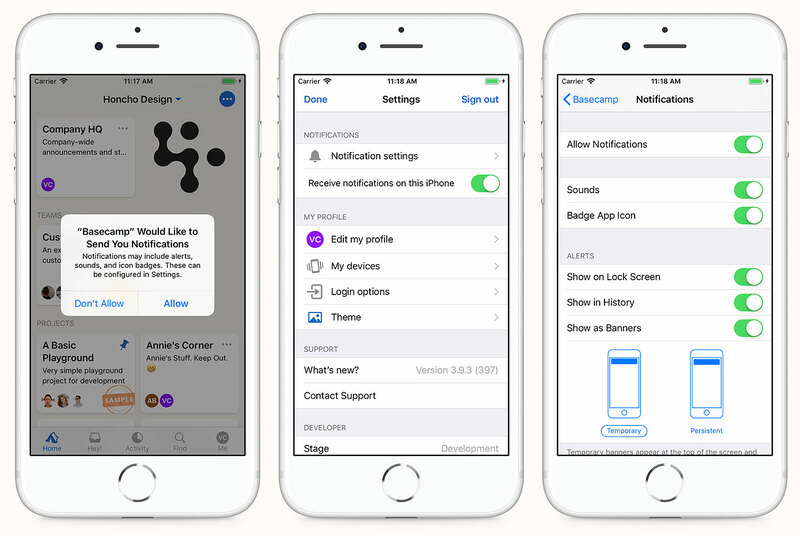 You can even turn off notifications per device or everywhere. You’ll find these options in Me > Settings > Notification Settings. If you have more than one Basecamp 3 account you can tap the title of the account on Home and Hey! to easily switch to a different account. Note: Only accounts associated with the email address you’re currently signed in with will be listed. Use Basecamp 3’s Share extension to quickly post photos, videos, Tweets, web pages and more to Basecamp from any supported app without having to launch the Basecamp app. Make sure Basecamp’s activity is enabled by tapping More on the Share sheet. 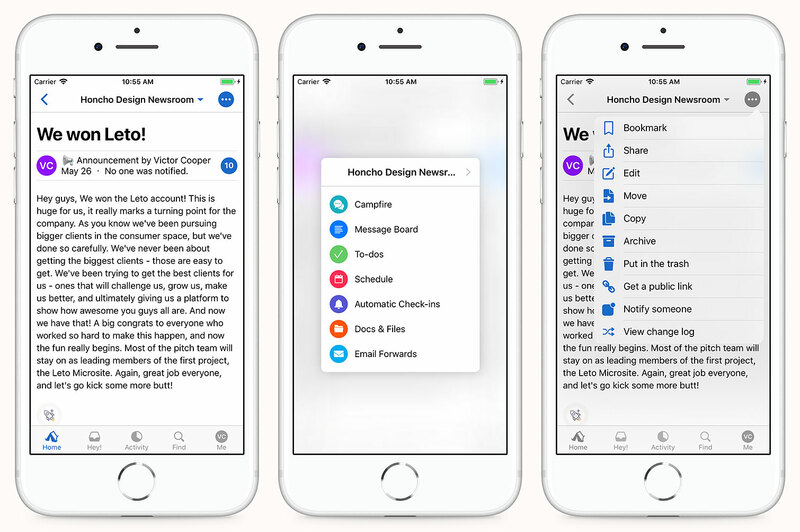 Quickly jump to your most-used tools in Basecamp with automatic suggestions from Siri and Siri Shortcuts. Siri is now able to learn your behavior across iOS and automatically suggest an action for you in Basecamp. Siri makes this suggestion on your lock screen so you're just a tap away from getting where you (most likely!) need to go. Siri also responds to custom phrases! 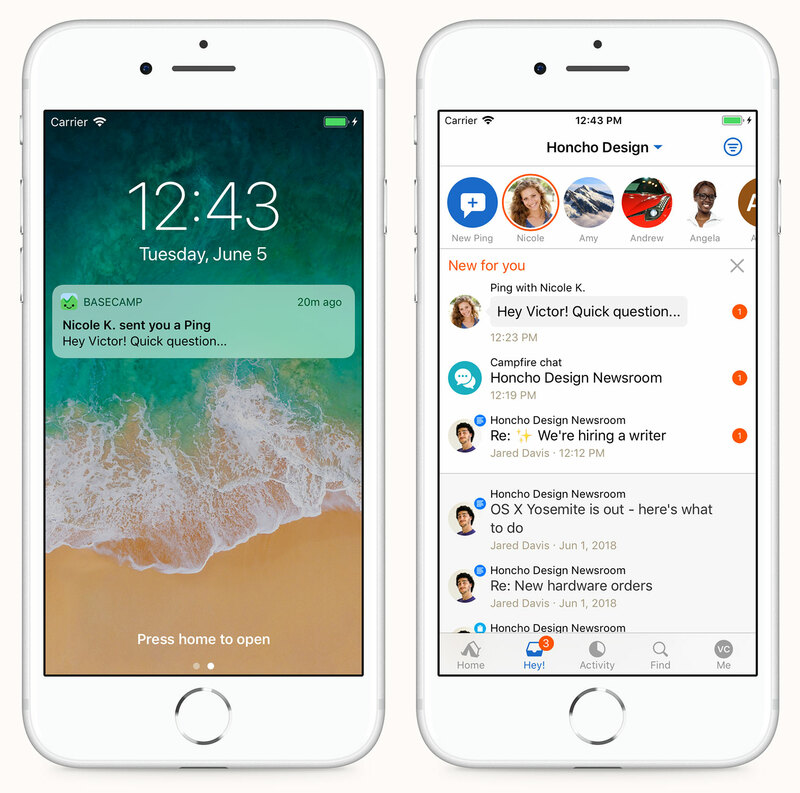 You can say "Hey Siri, what's new in Basecamp?" and Siri will pull up the Basecamp app, right to the page where you can see what's indeed is new for you. These custom phrases can be set up on your device by starting off in Settings. Then tap Siri & Search > All Shortcuts. Scroll until you see Basecamp's shortcut options and click the + button to the right of the shortcut you want to use. Here are a few things to try if Basecamp 3 isn’t working quite right. 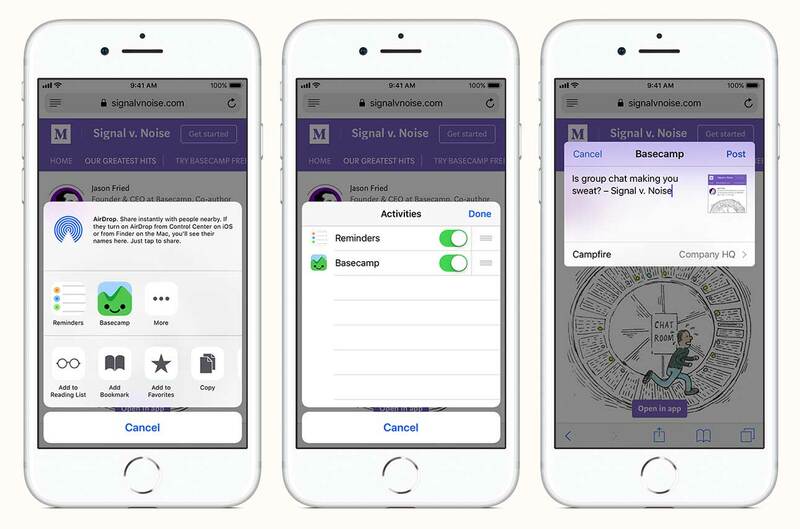 Do you have the right Basecamp app? Basecamp 3 for iOS only works with accounts created on the new Basecamp 3 released in Fall 2015. 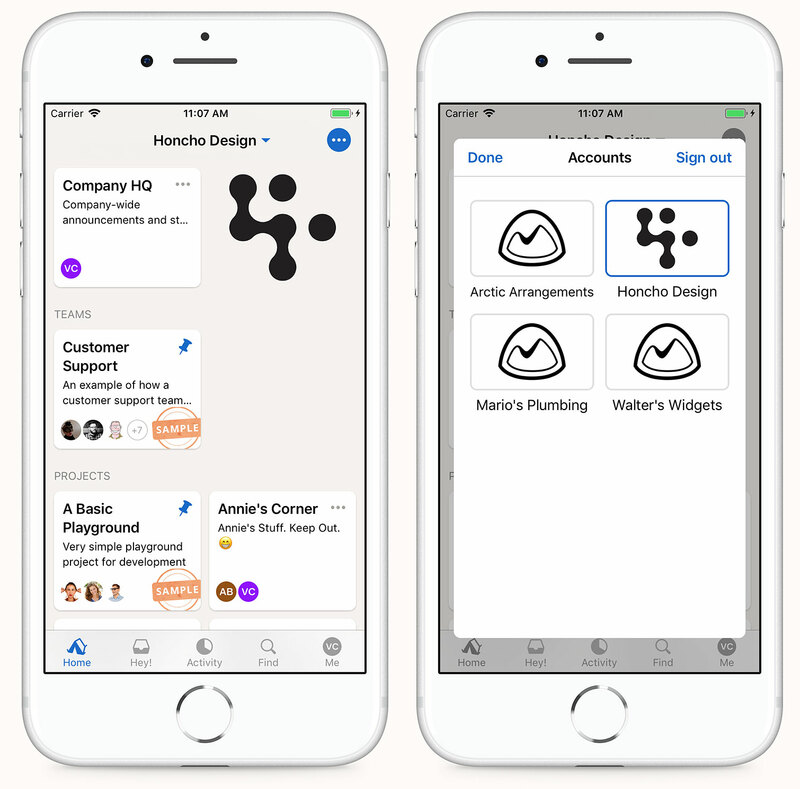 If you’re using Basecamp Classic or Basecamp 2 you can download the Basecamp 2 app from the App Store. Are you connected to the Internet? Basecamp 3 for iOS must be connected to a cellular data or wi-fi network while in use. Instructions for connecting to wi-fi. Have you tried quitting the app and re-opening it? Here’s how.